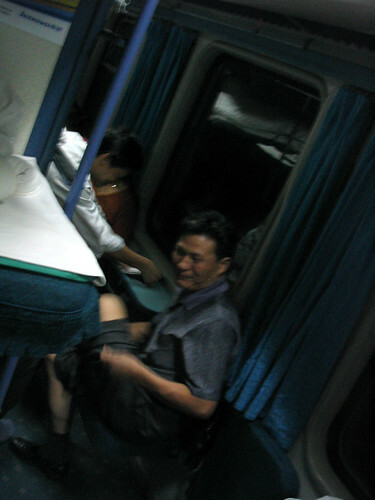 Using our friendly hostel travel planner, we booked 6-berth sleeper train from Nanjing to Xi’an. ZJ sent us to the train station. It is nice to be able to lie down and sleep for the long 14-hr train ride to Xi’an, but it is definitely hard for anyone who’s tall. It was really hard for me to turn or anything once I settled in a position. But then again, I really love train rides, so there’s not much to complain about.